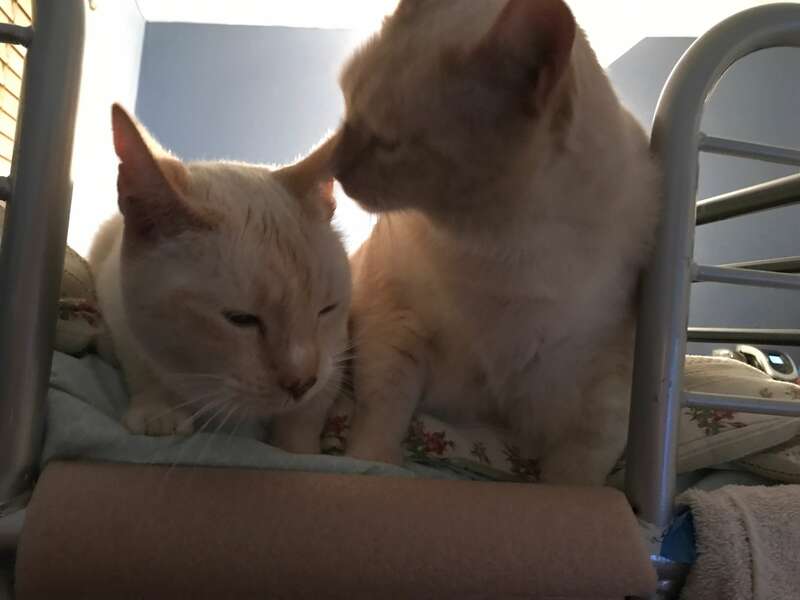 We are Facebook and Fatty McFat, 8-yr-old brothers, that need a one year foster home while Mom is in New Zealand finishing up her Bachelor’s Degree. 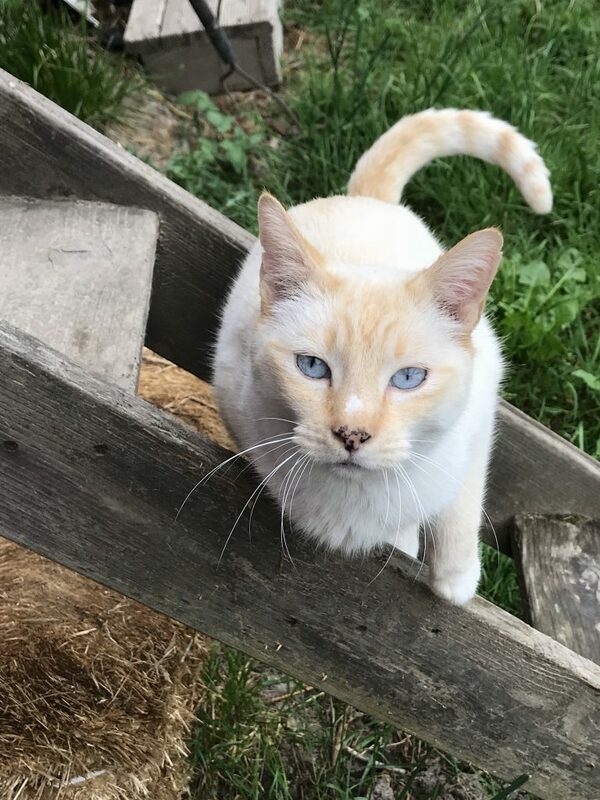 Mom wants us back and is willing to pay for food, litter, flea/pest control and has a Care Credit card for any unexpected medical expenses. We come with all our stuff, including a snazzy cat carrier. Mom is leaving the week of June 21st and we are looking for a stable, quiet, no children, no dog home. Other cats are fine, but we will hiss for a while until we get to know each other. Both of us like the outdoors, sunsets but no walks on the beach. We are micro chipped, vaccinations are up to date and we are very healthy. 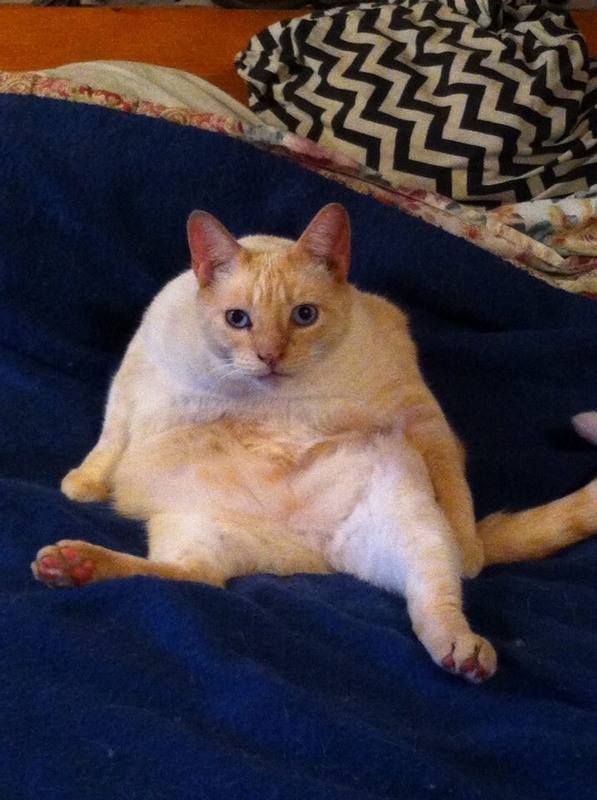 Did I mention that my brother Fatty McFat is a 20 lb big boned super lovable beast, while I, Facebook, am a svelte 11 lbs? I recently had all my teeth removed except for my canines and have the highly sought after super model sunken cheek look. I am definitely the better-looking brother. If you think you may be a fit for us, please contact my mom. She is super anxious to find a good cat concierge to serve her little princes. She is the only parent we have ever known and while it can take a bit for us to warm up to other people, we will eventually come around and give you lots of lap time, snuggles and purrs. Mom’s contact info is lyndaelaine2016@gmail.com or 907 435 7015. Texting or email is best as she can’t answer her phone during the day while at work but will see texts.